If a tree falls on your property, call us! 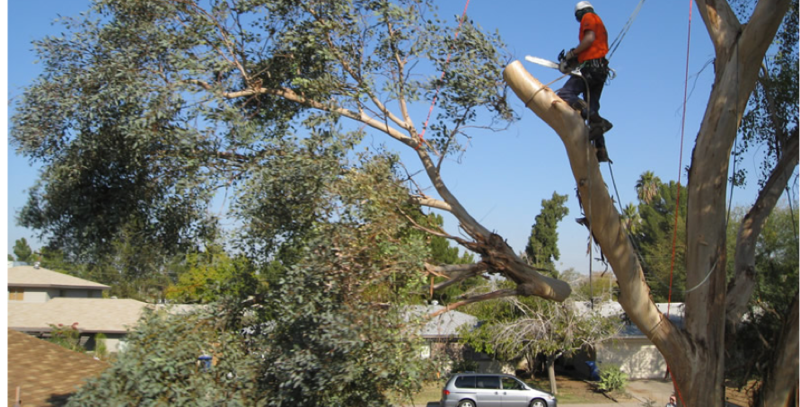 We are available 24-hours to handle any emergency tree service calls. Hopefully, it won’t come to that, but we just want you to know that we are there whenever you need us! When you call, give us a rundown of the emergency situation. We can give you a quick breakdown of the costs and dispatch someone as soon as possible if necessary. If it’s a tree on public property, contact your public works department. Be sure to keep your children and pets away from the hazardous area. Don’t attempt to move or dislodge the tree yourself! If any wires have fallen, call your local power company, and if there are any injuries of course call 911. Then, try to stay calm. Relax, even. We work with all insurance and will make sure that your emergency tree removal is taken care of right away in the safest manner possible! DFW Tree Service is proud to trim and remove trees in and around a 25 mile radius of Dallas/FT. Worth. Services: Tree Service, Tree Trimming , Tree Removal , Stump Grinding , Stump Removal , Emergency Tree Removal , Tree Pruning .